Japanese potato salad is one of my favorite sides. 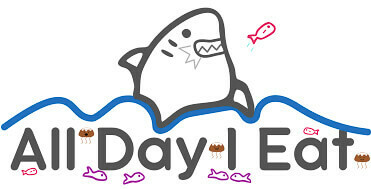 I like to eat it with a piece of meat or a piece of fish. I also like to eat it along with rice (I love my carbs~!). 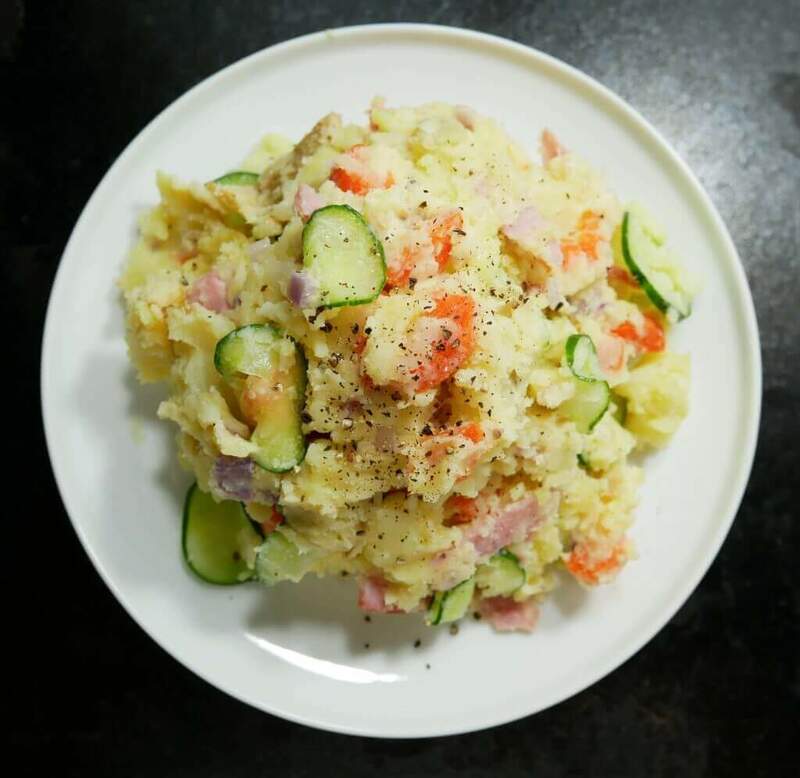 If you haven’t had Japanese style potato salad yet, this is a good one to try, it’ll even go well with your American style meal and especially a BBQ! I especially like to eat it with another starch like rice or even macaroni salad. Plus some sort of meat of course. In Japan, you may have seen potato salad (ポテトサラダ）as part of a bento box. It pairs very well with meat, fish, rice and the vegetables that often make up those boxes. There are many different ways that you can make this salad, but this one is classic. Kewpie mayonnaise, salt, pepper and onion are the main flavors here. With carrots and cucumber adding their own natural flavors and textures. I used Yukon Gold potatoes since I like the color and also their flavor. All of these ingredients together, work well and complement each other. The other thing I like about this is that it comes together quicker than you might expect. Do you microwave your vegetables? A lot of Japanese recipes call for the microwave in their recipes. I can definitely see the convenience in that and it’s interesting to see the difference in cooking techniques in Japan versus here. 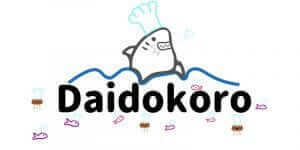 In Japanese, the microwave is called ‘denshi range’ (電子レンジ). ‘Denshi’ means electric and ‘range’ means stove/gas range. Most American potato salad recipes seem to call for boiling the potatoes in water, which takes time and is more work than just microwaving. So if you are making this, or any other potato salad, you might want to try the microwave! No waiting for the water to boil and no dealing with hot water/steam! 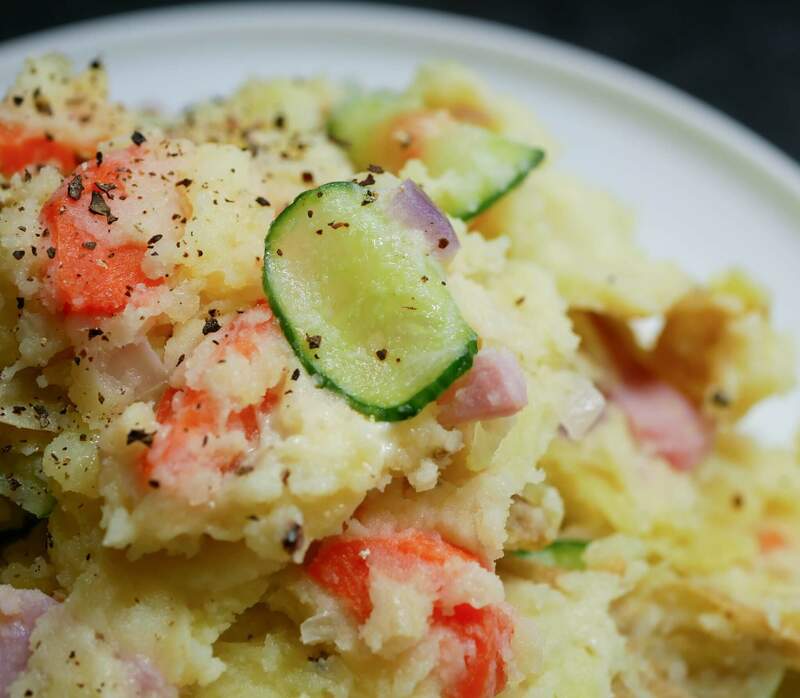 Since summer is almost here, perhaps this potato salad could be a nice pairing for your next barbecue or Japanese themed meal! Rinse and scrub potatoes, then pat dry. Using a microwave-safe bowl or plate, heat in microwave on high for 7-9 minutes until the potatoes are cooked through. Poke with fork or chopstick to test. Remove the bowl and set aside. Meanwhile chop and slice carrots, red onion, ham and set aside. Using another microwave-safe plate or bowl, microwave onion and carrots for 2 to 3 minutes until carrots are cooked. Remove the plate and set aside. Once cooled, use a paper towel to squeeze excess water from the onion. 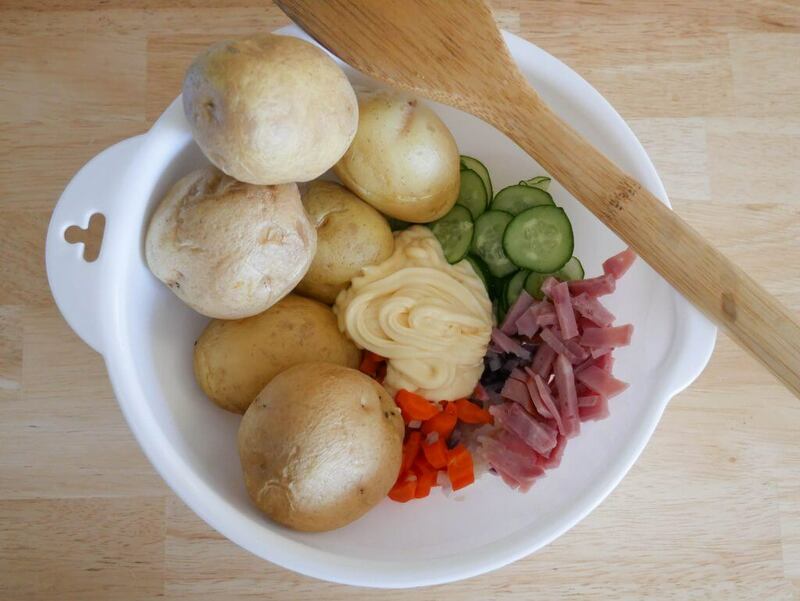 In a large bowl, mix potatoes, carrots, onion, cucumber, ham, and mayonnaise. Use a firm spatula or serving fork to break potatoes. Season with salt and pepper to taste and serve cool or at room temperature. thank you! let me know how it turns out!! That’s my hubby’s favorite. I add tuna can, boiled egg and sugar into it. Try it out next time! Thanks for the note Yumi! Tuna sounds like a good addition, i will!???? Thanks for the idea about microwaving the potatoes for potato salad. I never had thought of that. 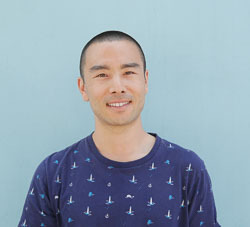 Japanese – with ham? Do they really serve it now in Japan? I am behind times, it seems. Thank you! True, and I thank you for giving me the opportunity to learn! Interesting twist on a classic side dish.